There might still be some time to go before Christmas, but a festive mood reigns throughout the month of December. Shop window displays, streets and homes – all decorated and replete with coloured lights and ornaments and shining Christmas trees. Perhaps you’ll even come across a jolly Santa and his merry assistants. Would you like to be one of them? If so, just put on a velour Santa hat – particularly suitable for wearing inside (and as it’s light and the material is breathable, it won’t bring you out in a sweat). 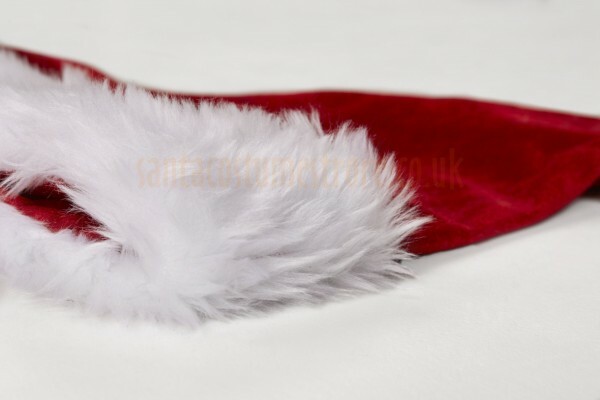 Our deep red velour Santa hat is trimmed with a smart band of white faux fur (1"/ 2 cm pile). 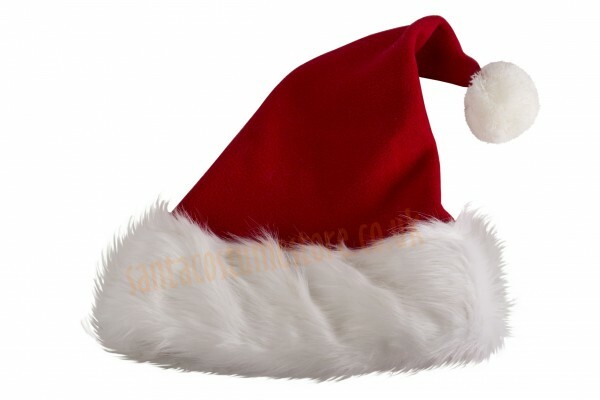 Made of soft and pleasant velour, the hat feels particularly cuddly. And it comes adorned with a fluffy pompon, 3" (7 cm) in diameter. 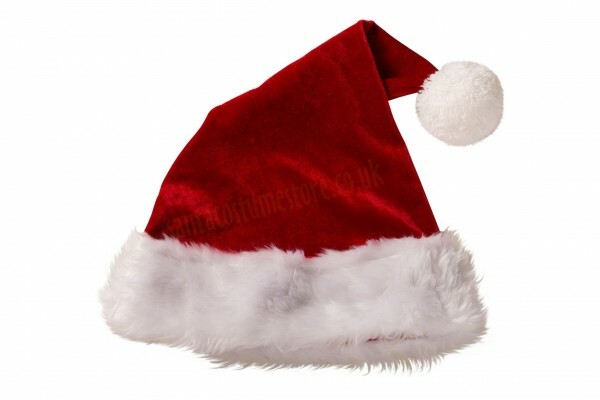 This hat is designed for wearing without a Santa wig; its size is designed for it to fit nicely on the head without a wig. 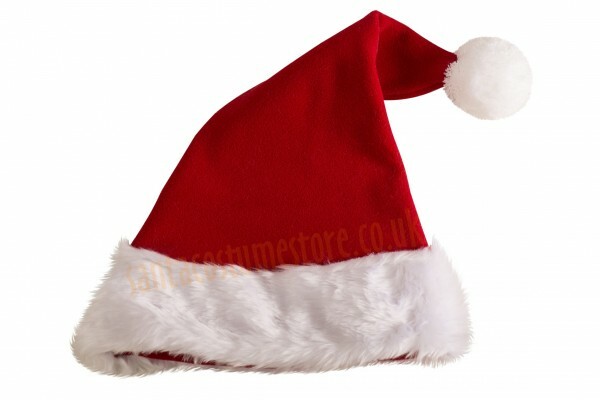 Hats designed for wearing on a wig can only be bought as part of our velour Santa suit sets – either the standard or Super Deluxe versions.